Bring on the bees! 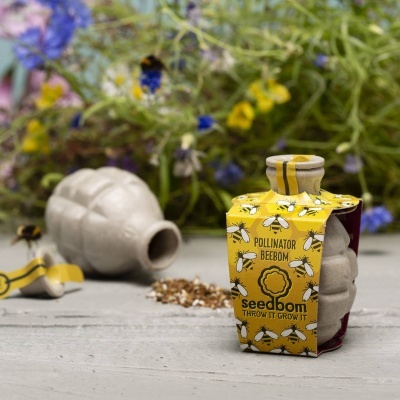 A Seedbom mix of nectar rich wildflower seeds will launch your garden into a bee haven. Full instructions are included on inside of each Seedbom sleeve. 10% of all profits go to The BumbleBee Conservation Trust! 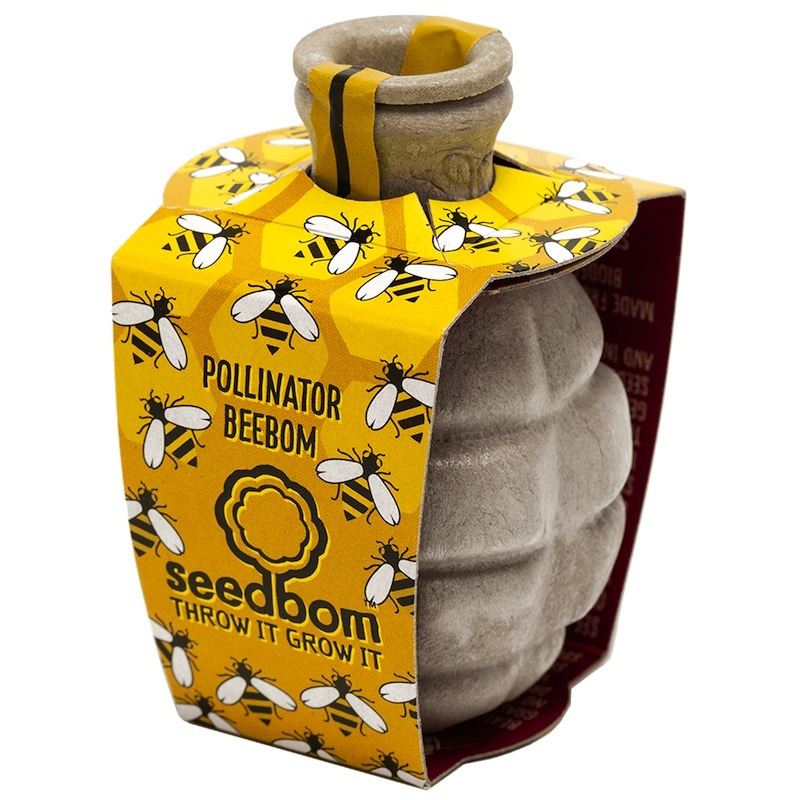 A 100% biodegradable seed bomb to help bring on the bees! Shaped like a grenade this mix of nectar rich wildflower seeds will launch your garden into a bright and beautiful haven for bumblebees and honey bees. 10% of all profits go to The BumbleBee Conservation Trust!